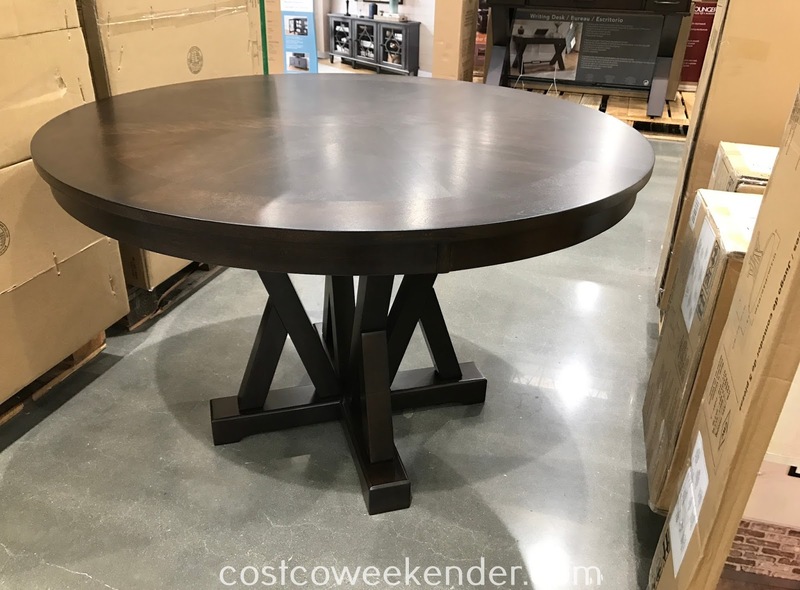 What I like about circular tables like the one that comes with the Universal Broadmoore 5-piece Round Dining Set from Costco is that you can always squeeze in just a few more people that what it was indended for. So even if this Universal Broadmoore piece only comes with 4 chairs, go ahead and put in a few compact folding chairs in case you have extra people coming over for dinner. 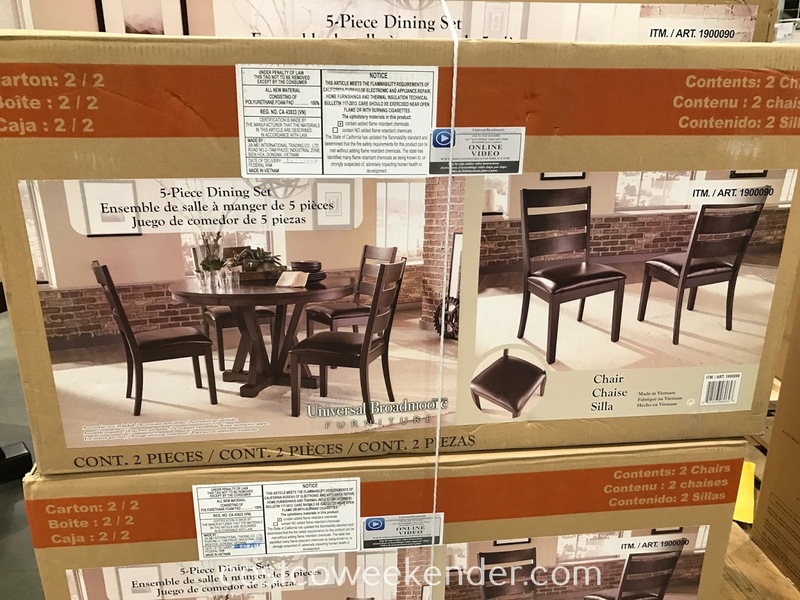 The Universal Broadmoore 5-piece Round Dining Set includes chairs with bonded leather upholstery. And thanks to the table's pedestal base, you don't have to worry about hitting your knees as you are getting up off the chair. Like other Universal Broadmoore furniture, they had quality in mind when they built this piece. So it should look good for many years to come. 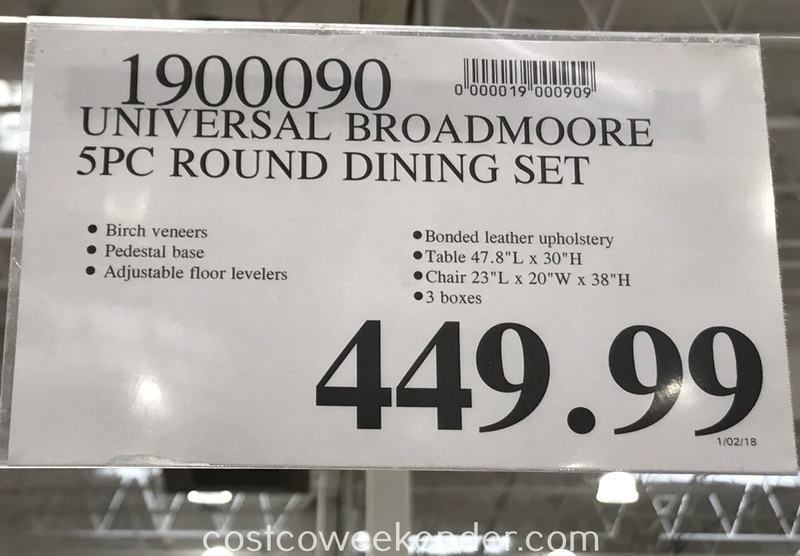 So upgrade your dining set today with the Universal Broadmoore 5-piece Round Dining Set.